The Director of Operations is a leadership role within the Radiation Measurement and Security Instruments (RMSI) business unit which reports to the VP/GM. This individual is responsible for the overall development and leadership of the RMSI operations organization employees engaged in the profitable manufacture of high quality products serving the Nuclear, Medical, Industrial and Safety & Security needs of our customers. This is an end-to-end responsibility – from budgeting and asset management through the safe and efficient operation of factories engaged in electro-mechanical assembly operations on a wide range of product (high mix / mixed volume production). Operational excellence through the use of contemporary Lean Manufacturing and Supply Chain management concepts is another critical focus area of the position. This leader will establish management systems and processes that enhance the production of high quality products for meeting/exceeding customer service expectations. 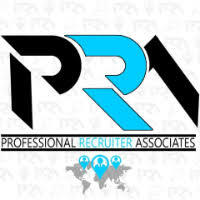 For immediate consideration, please forward a copy of your current resume to info@profrecruiters.com referencing job #1706 or a link to this job.